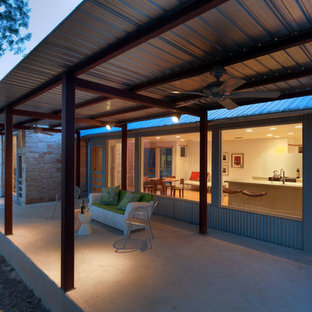 Photo of a contemporary patio in Austin with concrete slab. Maybe it's an afternoon lounging by the pool or an evening of friendly conversation under the string lights -- either activity will be a pleasure in this creative contemporary home. 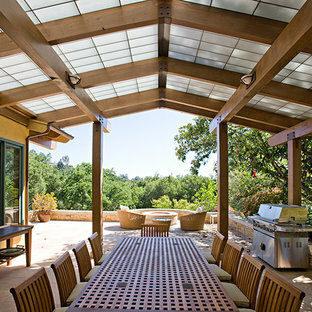 Photo of a midcentury patio in Los Angeles with a roof extension. 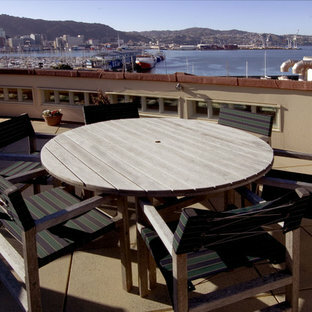 Traditional patio in San Francisco. 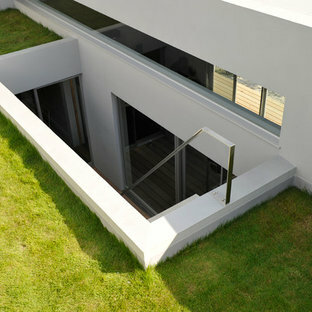 Design ideas for a modern patio in Other. This little hobbit like edifice is an outdoor pizza oven. We think it's so cute we love to talk about it! 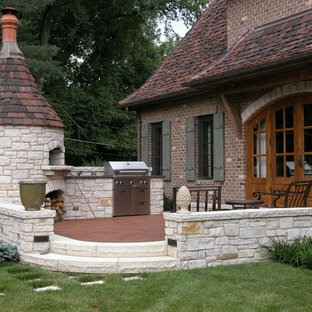 This is an example of a traditional patio in St Louis with a fire feature and no cover. 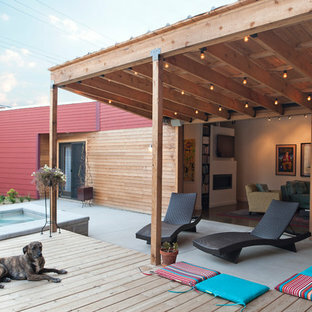 By Stoecker and Northway Architects, Inc.
Design ideas for a mid-sized contemporary backyard patio in San Francisco with a fire feature and a roof extension.